We all have a story that is worth sharing. A well-crafted story can spark change in the world or provide comfort to those around us. They hold the power to connect us, inspire, lead, and create change. Stories can broaden our understanding, and change our perspective. So what does storytelling have to do with you, your ideas, or your business? Well, everything! If you can’t properly communicate your ideas to your audience, they won’t be able to connect with them. They won’t be able to learn more about your vision, understand your ideas, or help you create the impact that you’re envisioning. 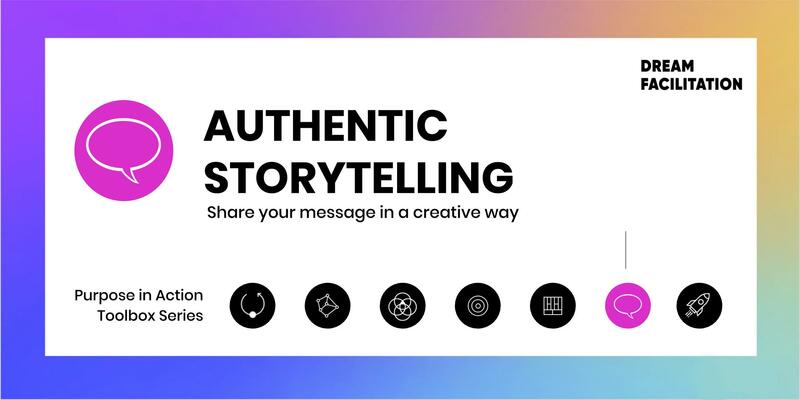 In this practical and interactive workshop, facilitated by creative copywriter Tess Tettelin and digital marketing consultant Jorinde Olling, you will learn how to craft your Why I Do What I Do story and deliver it in a memorable way. You will learn how to humanise complex ideas, voice them in the right words, and deliver an engaging story that conveys your ideas in a clear and powerful way. By the end of the day, you will have the tools in place to further refine your story, along with the confidence to go out there and deliver it! Jorinde Olling, artists and marketing strategist. Jorinde is a Berlin-based visual artist and creates intuitive abstract art. Using the power of movement and art, she helps people to take a jump into the unknown through heart-opening and creative workshops. When not making art, she uses her creative and analytical skills to supports business(es owners) with digital marketing so they can confidently pursue their dreams too.